April 28, 2016 3:32 pm. The A.J. Moir Stakes is one of only a few Group 1 races ran at night in Australia. The Group 1 $500,000 sprint is run at Moonee Valley in Melbourne and after years of it running on Cox Plate day, the Moir is now ran on a Friday night, a month before the running of the Plate. Formally known as the Schweppes Stakes, the 1000m weight-for-age race has been won by Australia’s very best superstars and punters always mark it down as a must-bet race. Gaining Group 1 status in 2013, the Moir is recognised as one of Victoria’s top sprinting prizes. There are no odds available for the 2019 AJ Moir Stakes. Horse Betting will update this page as soon as markets open on the Group 1 event. After gaining Group 1 status markets on the Moir have been going up earlier every year. Any bookmaker worth their salt has a market on the AJ Moir Stakes at least a month in advance of the race date. Check with our bookmakers listed below for updated A.J. Moir Stakes markets. Buffering has won the AJ Moir Stakes three times but only once as a favourite. The A.J. Moir Stakes is a race for the cream of the crop, so when taking a look at the results you might see a big dividend attached to the winner. That doesn’t mean the horse was an outsider, it is just indicative of the quality of the field. The Robert Heathcote-trained Buffering has won three times (2015, 2014, 2012) making it the horse successful horse in this race’s history. Buffering won as the odds-on favourite in 2012, but paid a much better price of $4.50 when winning in 2014. Along with its three wins, Buffering also finished second in 2013 behind Samaready when it was the $3.50 favourite. It was the first time in five years a favourite had been beaten in the A.J Moir Stakes and if you look at the horses which won during those five years you’ll understand why. Champion and unbeaten mare Black Caviar won back-to-back A.J. Moir Stakes in 2010/2011 and although the odds were too short for some punters, it was considered money in the bank. It won as the $1.40 in 2010, but the price wasn’t going to last in the following year. Black Caviar won as the shortest-priced favourite in modern racing history when it paid $1.05 in 2011. Her had won the Schillaci Stakes in her start prior as the $1.07 favourite and those prices were about the norm for Black Caviar in the height of her career. The biggest-priced winner was Aquilone in 1985. With Pay Hyland in the saddle, the four-year-old upset the field to score at odds of $40. South Australian sprinter Viddora went into the 2018 Moir Stakes having failed in its Melbourne Group 1 attempts, but had success in the west and the south. That changed in September. Nature Strip was all the rage heading into the headline event but when Viddora circled the field at the turn it didn’t look like it was going to get beaten. Brave Smash ran second in its tune up race heading to The Everest. She Will Reign defied a strong on-pace bias to win the 2017 Moir Stakes at Moonee Valley. The talented three-year-old filly for Gary Portelli was well-backed in the market, but Russian Revolution held most of the money. It was gone on the turn and She Will Reign used its superior turn-of-foot to fly quickly down the outside with Viddora coming between runners at the same speed. Sheidel ran another quality placing in a big race. Read the report here. Craig Newitt rode Extreme Choice to a famous victory over more well-known rivals Chautauqua and Buffering. 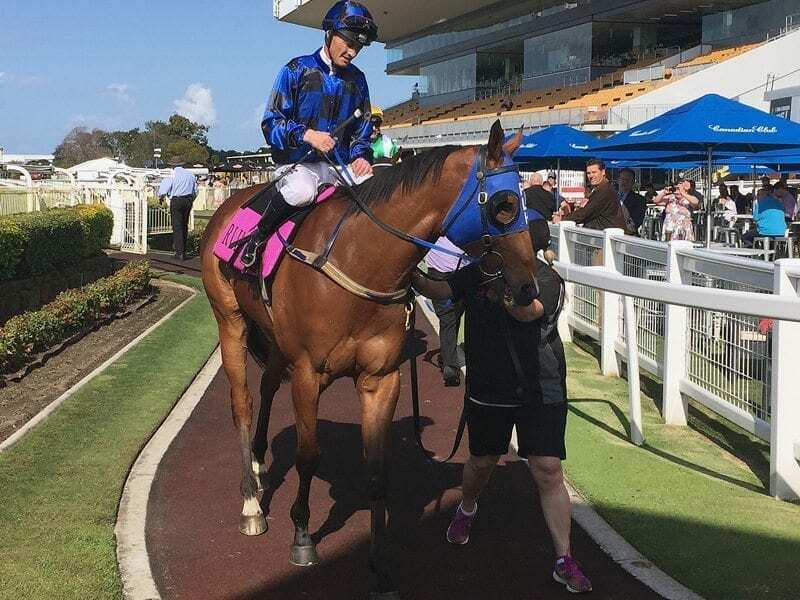 There was no doubt over Extreme Choice’s ability, but the Mick Price-trained three year old’s age had raised doubts, with other horses in the race having more experience. A wide barrier draw meant Newitt settled his mount back in the race, but a blistering run home to defeat Heatherly ($16) and Wild Rain ($26). Read full report. You’ve heard it before right? Buffering took up his customary position at the head of affairs and drove the field into the ground. The old boy looked to be wilting heading around the famous Valley turn but he found a kick to hold off Group 1 performer Ball OF Muscle and the fast finishing Angelic Light. If Buffering wasn’t already the people’s horse his second Moir win would go a long way to engineering that moniker. The superstar Lankan Rupee came into the race as the $1.55 favourite but the gelding failed to run down the long-time leader, who once again offered a kick as the long approached. Buffering was looking to record a second-straight win in the Moir but the star had no chance of toppling the gun Mick Price Mare Samaready. Froggy Newitt settled the horse midfield and was caught in sixth position turning the corner a decision to take her wide paid dividends as Samaready streaked away to win by four lengths on the line. In what would be the last time the AJ Moir Stakes would be a Group 2 event, Buffering put on a show for the favourite backers. Leading the entire race, the champ looked tired as the line approached but found his trademark kick as the line approached to hold off a flying Ready To Rip. Peter Moody knew a thing or two about getting sprinters up for Melbourne features and there was no better horse in his stable than Black Caviar. Jumping as a $1.05 favourite, backers had no issues as the champ sat just off the pace before coming to the front at the 400m and going on to record a six length win.